Verner Panton would use the world around him for inspiration, combining materials that would express a great experience in the small details. Fun is the best example of the greatness of detail. 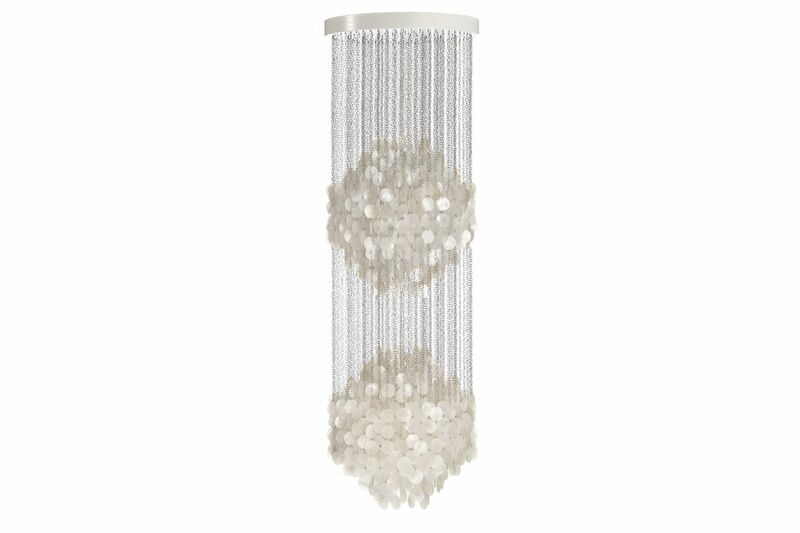 Mother of Pearl is reminiscent of the sea, beach, sun, light, sound, sand, of nature's own solution, combined with the creativity of Panton for functionality. The result is a lamp where you can feel and hear the world light. The Fun Suspension Lamp was created to be seen and heard. It deserves much more than a corner and a remote spot in your room. Use it as a prominent and inspiring part of your interior design, using the delicate tendrils and its length to fill your space.